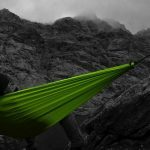 Home » Blog » What are Camping Essentials? Many seasoned campers can agree that the packing stage is one of the most important stages of a camping trip. Packing for a camping trip can be a daunting task for many. You want to pack enough supplies such that you have everything you need but at the same time you have to pack a bag that is not too heavy that it limits your mobility. Many people would love to go camping but the lack of knowledge on what items they need discourages them from going camping. It gets even worse when planning a camping trip for many people such as a family or a group of friends. The following are some of the items you must carry if you want to have a good camping trip. It doesn’t matter where you are going camping or the advertised climatic conditions of the place you are going camping. A tent is a must-have item for any camping trip. Apart from protecting you from harsh weather conditions, a tent also protects you from many harmful animals and insects which are common on many camping sites. Before leaving make sure the tent is clean and free of mold. Also, confirm whether all the components of the tent are packed. Our review of best Camping Cots. Man needs food and water for survival. First, you must ensure you carry enough drinking water for the whole trip. This will help avoid taking water which you are not 100% sure is safe for drinking. You also need to carry enough food to last you for the whole camping trip. Most people are unable to hunt or determine which plants are edible in the wild. You can carry canned food and plenty of snacks to keep you energized as you engage in camping activities. A pocket knife is a must-have for any serious camper. A pocket knife can be used to serve many purposes like protection, food preparation, hunting, among others. In the event of an injury, a pocket knife can be used to cut a piece of cloth to be used as a bandage. A knife serves more than one purpose on a camping trip and should therefore not be left behind. 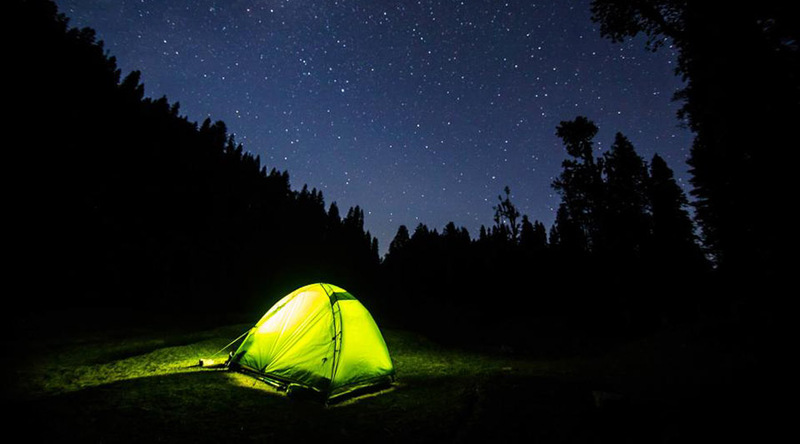 In order to have comfortable sleep in the wild, there are a few items you must bring on your camping trip. For starters, a sleeping bag will help keep you warm and turn any flat surface into a bed. Having your tent and sleeping bag might seem enough but many people forget to bring a ground mat or sleeping pad to place in the designated sleeping area. In case of rain, one of the options is hammock camping with the sleeping pad. A pillow also comes in handy, especially when sleeping on the uneven ground. A lighter is also a very important item to have on a camping trip. All of us were taught the theoretical method of starting the fire using friction but most who have tried it have failed miserably. Fire is very important at a campsite since it is the main source of heat, light, and it is used to prepare food. A lighter is a hassle-free method that enables you to start a fire in minutes. You also need to bring a flashlight to a camping trip. People usually camp in areas without electricity and without an alternative source of light at night, life at the camp can get hard. A flashlight helps you move in the darkness and look for stuff at night. A lantern can also come in handy but you need to ensure you turn it off before sleeping to avoid causing a fire. You need to ensure you also carry spare batteries in case the ones in use run out of juice. When out camping, anything can happen. One wrong step can lead to injuries that can turn fatal if not attended to immediately. Some people also get sick especially those who are not used to camping and they may need first aid. Some campsites are known to be in an area with poisonous animals like snakes and spiders. Having anti-venom in the first aid kit can help save a life in case of an emergency. The above items are just some of the main items you must carry on your camping trip to have an enjoyable time. There are many more items different people may need to carry depending on their unique needs.